The benefits of unsaturated fats, traditionally seen as good for the heart, may vary due to their omega-3 content, which is thought could have anti-inflammatory effects. Some people think that unicorns fart rainbows. It is thought that unicorns fart rainbows. Unicorns are thought to fart rainbows. Silicon Valley startups that are valued at a billion dollars are called unicorns. 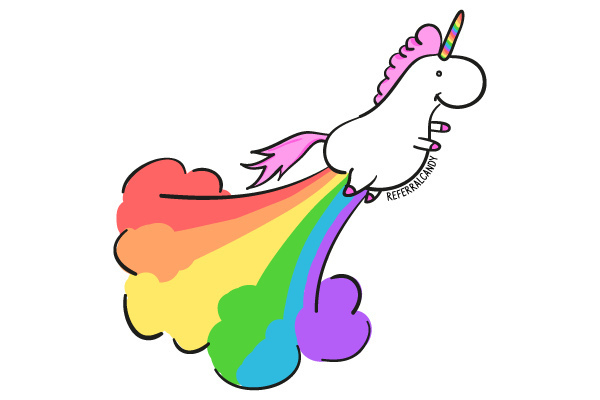 Silicon Valley startups that are valued at a billion dollars are called unicorns, which GAP are thought to fart rainbows. Silicon Valley startups that are valued at a billion dollars are called unicorns, which it is thought GAP fart rainbows. So depending on which kind of complex passive you go with, your relative clause will have either (1) an infinitive after your reporting verb, or (2) a dummy it, and then a finite verb phrase after your reporting verb. The sentence from New Scientist stuck out because it has a finite verb phrase (could have anti-inflammatory effects), but no dummy it! …immediately after being given hormone treatment to harvest their eggs – which it is thought could impair the process of implantation. Unsaturated fats’ omega-3 content could have anti-inflammatory effects. Thus a rise in monetary growth which is anticipated will have no effect on the level of unemployment. Duty (charged at one per cent) on properties costing less that 250,000, which is hoped will kick-start the housing market. And with a slightly increased budget of $50 million–much of which is assumed will go to leads asking for heftier paydays, location shoots in Italy, and ramped-up F/X–Summit will have to scrimp somewhere. Reportedly, both drinks can often be high in polyphenol, a nutrient which is believed could give chocolate its beneficial effects on health. …leading to the development of a dilation zone which is believed could hold significant mineral potential. Beijing claims almost the whole of the South China Sea, which is believed could sit atop vast oil and gas deposits. His sin is his godson relationship with Obasanjo which is believed could be used against the incumbent president in 2015 if Andy becomes governor. Fluke? Did someone just forget to put in that short, meaningless it? Or is it possible that this construction got started with modal verbs as a workaround, and then got extended to lexical verbs (and it’s just by chance that the earliest example I found involves a lexical verb)? I don’t know. How do these examples sound to you? Have you heard or read others? Let’s have them! (One person was killed, and) others were attempted to be killed. The subject of the main verb, others, seems to have been promoted all the way up from the embedded verb kill, and along the way, both the main verb and the embedded verb have been put into the passive voice. As Hellan noted, sentences like these have a passive main verb and embedded verb, but the embedded verb is not an infinitive like in English. It’s just a past participle. If I had given a more literal translation, it would have been “Jon was attempted shot.” All the same, it looked like a double passive to me. Tydeligvis kan ikke slike lys unngåes å misbrukes fra tid til annen. Lødrup has several reasons for arguing that these English-like double passives are not the same kind of phenomenon as the ones that Hellan wrote about, which he and Hellan refer to as complex passives. First of all, there’s the past participle-vs-infinitive thing. For another thing, only a few verbs can be the main verb for a complex passive, including try, whereas many verbs can be the main verb in one of the double passives. In addition, the few verbs that can head complex passives can’t have dummy subjects (e.g. There), but some of the verbs that can head double passives can. It’s like observing that in English, you can say There is believed to have been an earthquake, but not *There was attempted to be killed. Having shown how these double passives are different from complex passives, Lødrup then says what they’re the same as: long passives. Long passives are like double passives, except that the embedded infinitive is active. For example, the double passive Others were attempted to be killed would be Others were attempted to kill as a long passive. Surprisingly, Lødrup finds some of these in Norwegian, though they’re less common than Norwegian double passives. By the end of the paper, Lødrup has abandoned the clunky name non-raising passives with passive infinitives in favor of putting these double passives and the long passives under a single label of long passive, though I will stick to having two names. Lødrup also presents examples of double passives (with actual infinitives) and long passives in Swedish and Danish, and takes double passives to be a case of something called verbal feature agreement. It’s great to get this new information and data about double passives! If you have them in your language (whether English or something else), let me know in a comment! Anti-Passive! It’s Like a Passive for Ergative Languages! Over the weekend, I speculated on how English might work as an ergative language. Today, on National Grammar Day, I’m taking it a step further into the reversed grammar of ergative languages, to show what might happen if you tried to use the passive voice in ergative English. What would that even look like, when our ergative English already has its transitive verbs agreeing with their patients? In you’ve forgotten what that looks like, here’s the suite of sample sentences we arrived at in our morphologically and syntactically ergative version of English. The pronouns in red are in the ergative case; they denote agents who do things to others. The pronouns in blue are in the absolutive case; they denote either “subjects” (in this context, someone or something that performs an action which doesn’t directly affect someone or something else), or patients who are affected by an action. Before I go further, I need to comment on the vocabulary. First of all, the terms agent and patient have to be understood as referring not only to very obviously agentlike roles such as “hitter,” “writer,” and “creator,” and very patientlike roles such as “struck,” “written,” and “created,” but also to pairs such as “seer” and “seen,” or “one who loves” and “one who is loved.” This is true for ordinary English as well as our imaginary ergative variety. Second, we saw earlier that the term subject has a specialized meaning when we’re talking about whether a language is ergative or not (or more concisely, its morphosyntactic alignment). It’s not just any subject; it’s the subject of an intransitive verb. So what term do we use when we want to talk about the subject of a transitive verb? In the last post, we called them agents, in keeping with the subject-agent-patient terminology of morphosyntactic alignment. But now, the agents aren’t going to be the … subjects? … anymore. In Language Universals and Linguistic Typology, Bernard Comrie’s attitude is “Tough noogies, welcome to the real world!” That is, it’s no simple matter crosslinguistically to say what’s a subject. Is it the thing that the verb agrees with? Maybe, but in some languages, transitive verbs agree with both their agents and their patients. So before reading further, say goodbye to your old notions of what’s a subject. The closest we’ll come is when we note which noun(s) a verb is agreeing with. So now, onward to passives and antipassives. Ordinary English, as well as many other so-called “nominative-accusative languages” gives you two options for expressing a transitive verb. There’s the more straightforward option of the active voice, with agent as the noun that the verb agrees with (She kisses me; I kiss her); and the more complex passive voice, in which the patient is promoted to the place where verb agreement goes on, and the agent disappears or is expressed in a by phrase (I am kissed (by her); she is kissed (by me)). Now actually, ergative English probably wouldn’t use an antipassive to express these thoughts. Just as ordinary English tends to use passive in situations where the agent is unknown, unimportant, or just less important than the patient; ergative languages tend to use antipassive when the patient is unknown, unimportant, or less important than the agent. (This is according to Ann Cooreman in “A Functional Typology of Antipassives”, in Voice: Form and Function, 1994, edited by Barbara Fox and Paul J. Hopper.) Functionally, they’re like detransitivized English verbs, such as eat, teach, write, etc. When you say “I’m eating,” or “I’ve taught for years,” or “Write every day,” the patient is assumed to be something obvious: food, courses or students, stuff you write. Well, no, they wouldn’t, because all that was phrased in ordinary English. They’d say … let’s see … “Let no one say ‘Me am eaten’…” Ah, forget it! It was tricky enough to get my ergative examples straight as it was. Right now I am absolutely ergatived out! This week, Grammar Girl is running a guest script I wrote on the active voice. It’s actually part 1 of a two-episode series on passive voice. As Geoff Pullum said of his 2,500-word Language Log post on passive voice, “I can’t make it simpler than it is.” GG and I tried, planning on a single episode to clear up what is and is not passive voice, but eventually decided to split the episode and spend part one establishing just what active voice is. Even that turned out to be a bit much for one episode, so I just aimed to raise listeners’ awareness of the many kinds of active-voice clauses in which the subject is not performing an action. What I left out was a paragraph on my (attempt at a) quick-and-dirty style diagnostic for whether a clause is in the active voice. So here it is for those who are interested. I suggest listening to or reading the Grammar Girl episode first, if you don’t know what I mean by semantic roles. And if you got here because you clicked over from the Grammar Girl website to begin with, welcome! With all those possible roles for a verb’s subject, how do we know if it’s in the active voice? We need an anchor, something that we know beyond all doubt is in the active voice. Our anchor will be to take the subject and verb and put them in a simple present-tense clause with no helping verbs. No matter what, this kind of clause is in the active voice. Then, we can check the semantic role expressed by the subject in this clause, and if it’s the same one expressed by the subject in the verb phrase we’re interested in, then that verb phrase is also in the active voice. Here’s an example: Is Roscoe is dying in the active voice? Compare the simple present-tense clause Roscoe dies. The subject, Roscoe, is filling a patient role. What about in Roscoe is dying? Here, too, the subject Roscoe is filling a patient role, so Roscoe is dying is in the active voice. Another example: Is Steve has always loved Amy in the active voice? Let’s compare it to Steve loves Amy. In this clause, the subject Steve has the role of experiencer. In Steve has always loved Amy, the subject Steve is still the experiencer, so this clause is in the active voice. It was intended for me to find. Interesting, I thought. That’s almost like one of those double passives I’ve been collecting. I wrote it down and forgot about it for a while. If any one or more of them, at any time, are inclined to raise their heads to a level with their master or overseer, humanity and their own good requires that they should be punished until they fall into that submissive state which was intended for them to occupy. There it was again! A weird passive clause involving the verb intend and an infinitival verb (to find, to occupy), and … well, let me explain. So in an ordinary passive clause, the subject is what would be a direct object if the clause were active. Take the passive clause Luigi was called (by Mario). The subject Luigi would show up as the direct object of the main (and only) verb in the corresponding active clause Mario called Luigi. This is true even for transitive verbs that also take an infinitive. For example, take the passive clause Luigi was told (by Mario) to throw the banana peels. The subject Luigi once again shows up as a direct object of the main verb in the active clause Mario told Luigi to throw the banana peels. Someone intended it for me to find. Someone intended for me to find it. Someone attempted to kill others. It was intended for me to be found. Now, all of a sudden, we’re talking about someone finding not “it”, but “me”. There are other versions of intend for which you can find its infinitival complement passivized. There’s intransitive intend, which can form double passives just like attempt can: Others are intended to be killed. For some speakers, there’s even transitive intend, as in He intends others to be killed. That version of intend isn’t in my active grammar, but if it were, then Others are intended to do be killed would be an unremarkable passive. The love that was intended for us to feel comes up at these times. In this lesson, which was intended for teachers to learn first and then show their students, a group sits in a large circle. This packet was intended for students to use in studying with their parents the content they learned in the music classroom. Because the design is intended for anyone to be able to build, the materials are economical and the shape of the house basic. Signals may be intended for us to detect or they may be deliberately obfuscated to thwart accidental detection. we have revealed a Pandora’s box of events that were never intended for us to see in the first place. Ulf Jarl saw the cook’s scullion pour something into a broth that was intended for me to eat. “I knew that was what they were after!” said Mrs. Tetchy to her husband, in a voice that was intended for us to hear. I think it was intended for us to keep our hands and bodies close to the earth. Iridium always was intended for people to communicate in places where people couldn’t communicate. This is intended for readers to have a general view of Taiwan’s aid programs. Town hall meetings are intended for soldiers to have dialogue with the secretary of defense. I haven’t checked the Google Books corpus or other corpora, but other examples are welcome, from the corpora or your own experience. In your own personal English grammar, what do you say? What do you do when you want to say that someone (you don’t know or don’t want to say who) intended you to do find X, and you want to put X as the focus of the sentence? Do you say, “X, I was intended to find”? Do you say “X was intended for me to find”? Or are you just plain out of luck, with recourse only to a complete rephrasing? Since then, every residence I’ve lived at has been either attempted to be broken into or actually broken into, in some cases burglarized. It’s been a while since I’ve written about double passives, but this example was so nice I just had to collect it. Passive is a good choice here because first of all, she doesn’t know exactly who did the break-ins (though of course she has strong suspicions), and second, the important thing is that her home feels unsafe. Every residence I’ve lived at has the prominent subject position, with the stuff that happened to it in the passive voice. Except that one of the things that happened is that someone just tried to break in. How do you express that if you’re already pretty well committed to using passive voice? English, at least standard English, doesn’t have a solution, but one that has evolved outside the rules of the standard is just to passivize both try and break into. So we get has been … attempted and to be broken into in the same verb phrase. I also got a smile out of hearing Dymond ask a follow-up question, asking how the woman had felt when her home was “burgled”, smoothly changing her burglarize into the equivalent British English backformation of burglar. One Sunday morning, Doug finished his waffles and bacon, and began to clear his dishes. As it happened, I had just finished taking the clean dishes out of the dishwasher a few minutes earlier, so I figured Doug could go ahead and load his dirty dishes in there. In the case of “go ahead and…” the extra words, depending on the context, emphasize intentionality, emphasize futurity, and the imply that the action is going to be taken without further notice or permission. I think it’s a subtle attempt to imply that the speaker is/was moving the state of things forward. The connotation I’ve picked up from it is that the action is one that some might think is premature or risky, and go ahead and means, “decide that we have sufficiently considered the risks and can now take action.” My wife likes to use it when she’s talking about spending some money on something expensive. The trouble, and this is where the complainers have a point, is that many people don’t pick up that nuance, and for them, go ahead and really is just three words that don’t add anything. The dishwasher’s empty, so those can be gone ahead and loaded. … *so those can be go ahead and loaded. So I ended up with gone ahead and loaded. Meanwhile, Doug was going ahead and loading his dishes, and it occurred to me that I could have cut him some slack. This was the morning that he had gotten up on his own instead of being shaken awake at 10:00 or later, had done his homework before having breakfast without my even knowing he was out of bed, and cooking that bacon and toasting that waffle all on his own. All that responsibility-taking, and all I could say was, “Those can be gone ahead and loaded”? I should have just let him leave his dishes on the counter like usual. Besides, when anyone but me loads the dishwasher, they do it wrong, and I have to take out the dishes and reload them. It’s been quite a while since I’ve had any collections of interesting links to offer you, but a new year seems like a good time to start up again. I’ll start off with a couple that I’ve had sitting in an unfinished links post for months, and which still seem worth passing on. You know that within the Phonetics and Phonology category, the pronunciation of /l/ has come up enough here to have its own tab. I’ve talked about Doug’s [j]/[w] realization of /l/ during his toddler years; the pronunciation of /l/ as a uvular nasal vowel by me as a child (and others); and the pronunciation of /l/ as an interdental sound, with the tongue tip between the top and bottom front teeth, the same position as for the TH sounds [θ] and [ð]). This Language Log post comments on and links to a YouTube video first noticed by Josef Fruehwald, who noticed Britney Spears’ /l/ articulation in both singing and lip-synching. She goes beyond the interdental articulation and into apico-labial territory — that is, the tongue curls up to touch the upper lip to make the /l/. (Apical is more specific term than lingual; it refers to the tip (of the tongue).) Don’t believe it? Watch the videos! They’re montages, with the relevant snippets shown at normal speed, then slowed down and repeated. Next, here’s a short one from Phonoloblog on a news-limerick fail: The contestant in the current-events-limerick-completion challenge on Wait, Wait, Don’t Tell Me! can’t figure out the missing word to put in because it only rhymes in dialects with the low-back merger. If you don’t know what that is, that’s OK; the post makes it clear. In addition to her Quick and Dirty Tips for Better Writing podcast, Mignon Fogarty does one called Behind the Grammar, in which she interviews anyone she takes a mind to about some aspect of language or writing. In this August 2010 pisode, she interviews sign interpreter David Peach about sign languages in a number of countries. Take it with a grain of salt when he talks about how it’s more logical to use noun-modifier order than vice versa when praising the logicality of a particular language. Otherwise, it’s an interesting look at how sign languages vary, from language to language and from speaker to speaker of one language. So much for old business. Now to the newly accumulated items to share. First of all, you may have noticed that I have a link to Ben Zimmer’s “On Language” column, and I recommend checking that every week anyway. (Or better, you can follow @OnLanguage on Twitter, and read the columns a few days before they’re published in the New York Times Magazine.) However, I found this week’s especially interesting, because he answered a question that I didn’t even realized I’d had: What exactly does trove, as in treasure trove, mean? I especially liked this column because (1) I realized that I’d never asked myself this question; (2) I totally should have asked myself this question long ago; (3) the answer was a complete surprise to me, involving calques (see the article), Anglicized pronunciations, and morphological reanalysis. Now for a couple tangentially involving last weekend’s LSA conference. The Saturday plenary lecture, given by Joan Maling, discussed the development of a new passive-voice construction in Icelandic. I missed it, because Pittsburgh linguist Lauren Collister had convinced me and some other linguists on Twitter that we should go out for lunch at a locally famous place that served sandwiches with fries and coleslaw actually in the sandwich! (Actually, the sandwich was pretty good — once I picked out those french fries. Hey, I tried it!) Oh, well, I’ve read the paper on this topic anyway, and the interesting comparison that Maling made with English has been written up by Mark Liberman at Language Log. There was a time when the present progressive passive voice (e.g. is slowly being eaten by army ants) was considered ugly, irrational, needlessly innovative, nonstandard English. Why say is slowly being eaten by army ants when the perfectly sensibe is slowly eating by army ants already does the job? Liberman via GoogleBooks links to the peeve as described in 1869 by Richard Grant White. Phoneticians classify vowels according to various articulatory and acoustic properties, and end up with natural classes of vowels according to criteria such as “height,” “roundness” and “tongue root advancement”. These classes often seem to have psychological reality, as phonological rules will affect only some natural class or other. However, you have to know about phonetics to classify vowels this way. One linguist wondered what kind of classes of vowels would shake out if people without linguistic training listened to recordings of a lot of vowels and were told to classify them into two, three, or four classes. He presented the poster during the LSA conference, and I’m hoping he’ll make the research available online. I won’t try to summarize it here, but I’ll be interested to see if some of the new natural classes that emerged turn out to be relevant in phonological processes. The main reason I bring it up is that the linguist is Douglas Bigham, whose big project right now is the rollout of Popular Linguistics Online — or at least, it was until he tweeted about it as PLO and learned that there were associations there he probably didn’t want to burden a new publication with. So instead, today marks the public release of Popular Linguistics Magazine. The title says it all, and I hope the magazine succeeds. I also owe PLM a thank-you for 200 of yesterday’s hits. I didn’t see exactly where they were coming from at first, but eventually figured it out: The left sidebar on the main page is a list of several linguistics blogs that changes with every page refresh, and every now and then, Literal-Minded turns up there, with the last two or three posts listed. In this way I also learned of a couple of llinguistics blogs I had been unaware of, so check it out! BTW, I think for future linkfests, I won’t try for one a month. When I have at least three interesting links that I haven’t already passed on via Twitter, I’ll put them up and start accumulating the next batch.